Welcome to Mercedes-Benz Retail Group With 16 locations across the North & South of London, we're conveniently located to provide you with expert advice when choosing to purchase a Mercedes-Benz or smart. Select a brand to get started. With over 1000's of Approved Used Mercedes-Benz in stock across the group, we’re in the unique position of being able to find the right vehicle to suit your requirements, at the right price. We’ll always have the right vehicle for you when you walk into one of our 16 convenient locations. At Mercedes-Benz Retail Group, we’re proud to represent smart. With its reliable, stylish and fun-to-drive city cars, the marque has remained popular ever since it was first established in the UK. A division of the UK's largest Mercedes-Benz retailer, Mercedes-Benz Retail Vans concentrates purely on Mercedes-Benz light commercial vehicles. 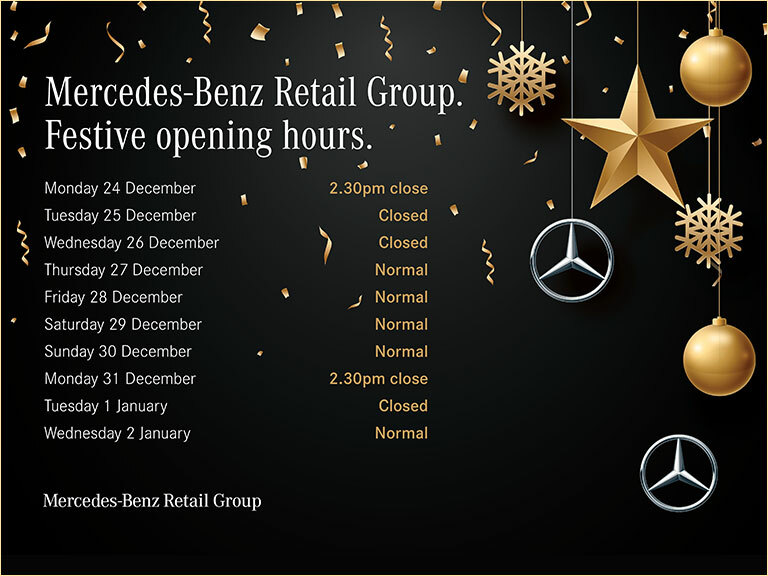 Find Your Nearest Dealership Mercedes-Benz Retail Group consists of 14 retail sites, 14 used car sites and 9 smart centres across the North and South of London, continuing to deliver the highest levels of customer service possible. To find your nearest dealership, please enter your postcode or town. Mercedes-Benz Retail Group is the UK's largest official retailer of new and Approved used Mercedes-Benz cars. Our expertise, which comes from being an official manufacturer-owned dealer group, allows us to deliver the very best service to our customers; something we take great pride in. With 16 locations across the North & South of London, we're conveniently located to provide you with expert advice when choosing to purchase a Mercedes-Benz or smart. We're spread across four divisions: new Cars, ApprovedUsed Cars, Vans and smart, meaning that we have a vehicle to suit every need and budget, offering the quality that you can expect from Mercedes-Benz. We're also delighted to provide Mercedes-Benz finance and insurance products, including the ultimate flexible finance plan: Mercedes-Benz Agility. We can also help you protect and personalise your vehicle with Mercedes-Benz tailored accessories. MyService provides a range of service options to suit you and with Genuine Parts your car or van could not be in better hands. No matter what your needs browse our website, where you'll find information about our whole range of vehicles and services, from smart to vans, fleet to After Sales. Mercedes-Benz Retail Group look forward to hearing from you.